Enjoy this delicious pecan pie for your Thanksgiving dessert. Thanksgiving and pecan pie go together hand-in-hand. In fact, without some sort of pie present at our Thanksgiving table, it just wouldn’t be quite complete. If you’re looking for an easy but quirky take on a traditional pecan pie that will wow your Thanksgiving guests, read on. You can use any homemade or store-bought 9-inch pie crust. Whisk together all ingredients (except optional garnish), and let sit at least 30 minutes in the fridge, during which time it will thicken, thanks to the flaxmeal. Pour filling into a crust. Arrange the optional extra pecans over top if desired. Bake on the center rack 35 minutes, then do not open the oven door but let sit in the now-turned-off oven an additional 10 minutes. 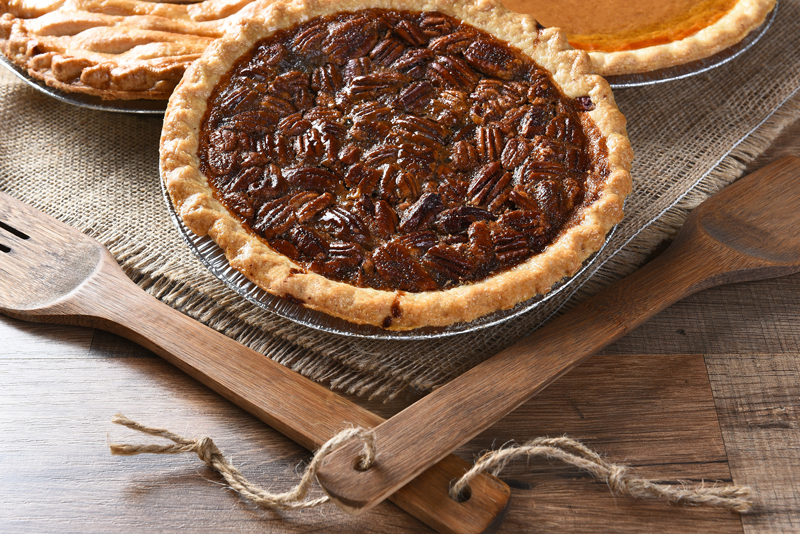 We hope that you enjoy this delicious pecan pie with your loved ones. Be sure to visit us at Unisource Insurance Associates for all of your insurance needs in Wauwatosa, Wisconsin.